Waltzing Matilda: So, how'd it go? I was really kind of surprised to hear that so many of you were also starting a new year of learning at home this early, and that some of you had already been at it a while! How did your day go? We started our day with Mass and... wow... have we been blessed by the new pastor assigned to our local parish. He has been a friend of my husband's family for many years and we couldn't be more thrilled that he is now on our side of the metroplex! Father H. gave an amazing homily! That was no surprise. His homilies are always incredibly informative and inspiring. He gave everyone a fairly detailed biography on St. Teresa Benedicta (Edith Stein) and then went on to talk about the Gospel and of course, tied the two subjects together very nicely. After Mass, the children we so inspired to know more about St. Teresa Benedicta that we made plans to read her biography at home this week. The girls were curious about a point Father made in his homily. 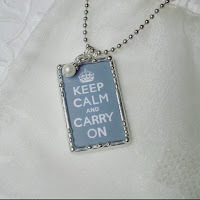 He said that trusting in God doesn't mean we can't attempt to avoid difficult situations. St. Teresa Benedicta saw the rise of Hitler and his Nazi party and asked to be sent to Holland to protect herself and her fellow sisters in the Carmel. Well, on the way to breakfast, the girls asked when and why Hitler started to gain popularity and how he was able to become so popular so quickly. The Professor, lover of all things WWII related, volunteered and gave us all a little lecture in the car about the state of Germany after World War I, the rise of the Nazi regime, and hyperinflation. Yep! History, economics and religion for the day checked off on the way to IHOP! What an awesome first day! And hurray for your new priest! We won't be ready to begin for weeks yet. That is VERY cool! Your Professor sounds a lot like my Professor (though older :) ) Sounds like a great first day. Congrats on the new priest. We also recently got one that is so much more conservative (thank God!) that it's a culture shock to our "hippie parish" :)We start our first day in 2 weeks,so I'm busily planning. We started back on the 2nd August. It's going well so far. Glad to hear that your first day went well! We received a new priest two years ago...he has become our homeschool group's "adopted" spiritual leader. I really couldn't have asked for a better start to our year. Praising God for that! Awesome. Glad you got off to such a good start. St Teresa Benedicta is one of my favorite saints. 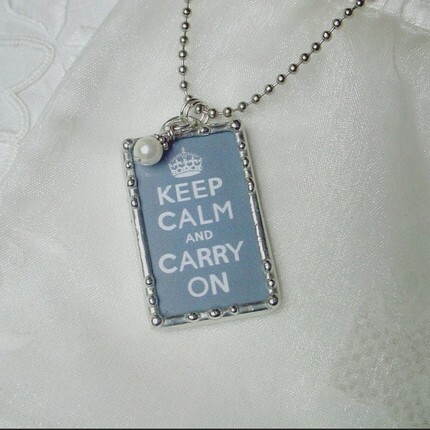 "Keep Calm and Carry On"---maybe this will be my motto this year. Whoo hoo! Congratulations on a wonderful first day and many blessings for a whole wonderful year as well! We started this week. Today is day three! Boy, Yours and mine would sure love to spend time sharing stories! Hope to see you again soon!